Place the water, sugar, tea bags, cinnamon and cardamom in a medium saucepan over high heat and bring to the boil. Remove the tea bags and add the pears. Cover with a piece of non-stick baking paper and top with a small plate or lid to weigh down the pears. Reduce the heat to medium and simmer for 35–40 minutes or until the pears are soft. Carefully remove the pears from the syrup, increase the heat to high and cook for 20–25 minutes, or until thickened slightly. 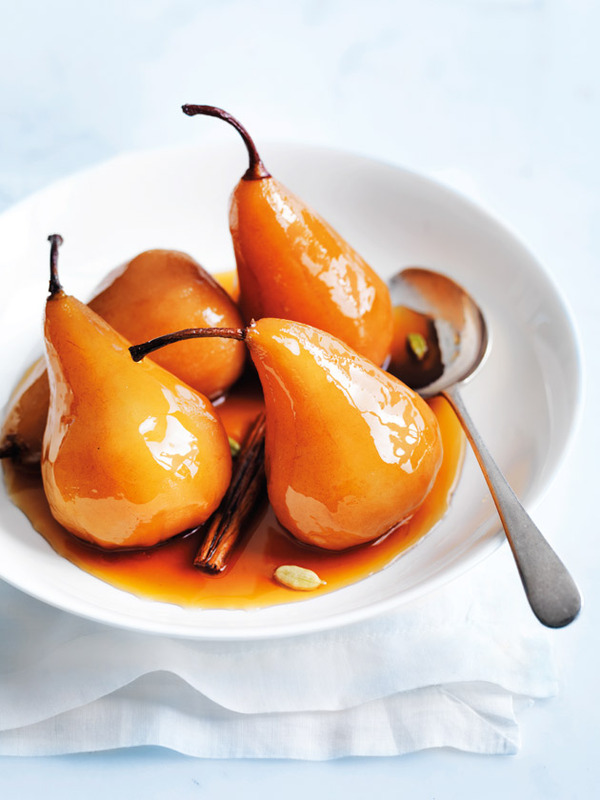 Spoon the syrup over the pears to serve. Serves 4.